Flat For Sale in Harrow, Middlesex for Asking Price £230,000. A suitable starter home for a First Time Buyer. This Studio Apartment offers a modern fitted Kitchen with appliances and a contemporary Bathroom. Part of an existing development, Talbot Skyline is now releasing a number of apartments located in Rayners Lane. 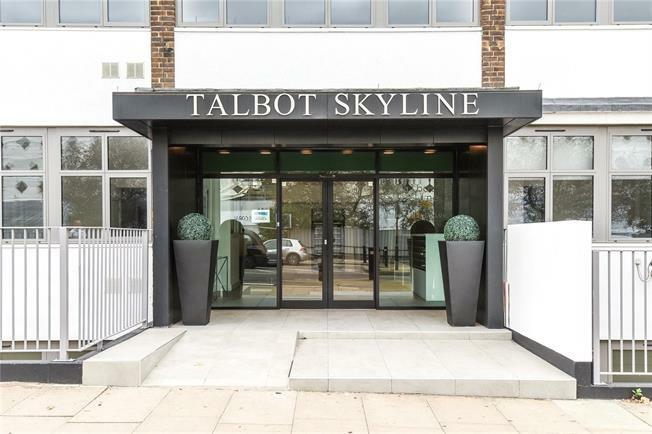 Talbot Skyline benefits from being conveniently located for Rayners Lane Piccadilly and Metropolitan line Station and serviced by a number of bus routes to the surrounding areas. - Fully fitted contemporary high gloss Kitchen with Integrated Zanussi appliances to include Oven, Hob, Cooker Hood. Stainless steel sink and chrome mixer tap.